A company-sized element of the US Army’s 173rd Airborne Brigade Combat Team – about 150 soldiers – will arrive in Poland on 24 April to begin a bilateral infantry exercise with Polish troops; in the coming days, about 450 additional soldiers will arrive for similar exercises in Lithuania, Latvia and Estonia. The exercises are the first in a series of expanded US land force training activities in the Baltic region scheduled to take place in 2014 and possibly 2015. “Russia’s aggression in Ukraine has renewed our resolve to strengthening NATO’s defence plans and capabilities, and to demonstrate our continued commitment to collective defence in reinforcing our NATO allies in Central and Eastern Europe,” Navy Rear Admiral John Kirby said. According to Admiral Kirby, the intent of the troop placement is to develop a persistent rotational presence through the exercises. Since Russia’s aggression in Ukraine began, the admiral said the United States has been constantly looking for ways to reassure its allies and partners of the nation’s commitment to the collective defence principles in Article 5 of the North Atlantic Treaty. These bilateral exercises were conceived in part to do just that, Kirby added. US Defence Secretary Chuck Hagel has said the events in Ukraine have had the effect of consolidating the alliance and giving it a sharper view of itself and its future. 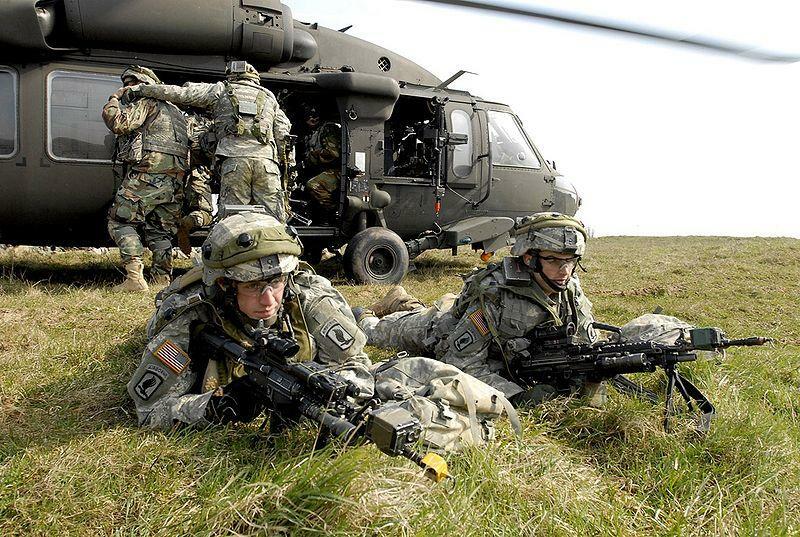 Cover photo: US Army’s 173rd Airborne Brigade Combat Team on exercise in Germany, 2007 (photo courtesy of US Army).